I have a friend who puts tape over the webcam on his laptop while he is working, because he believes that people can hack into his computer and watch what he is doing. I must admit I thought it was a bit strange at first, but then hunting information I discovered that it was not only possible, but a well known crime involving organized gangs. The UK recently took down a Russian website that was showing live webcam, taken without the knowledge of the people that were taking the footage. The incident not only involved security cameras, but all types of baby monitors and practically anything that has a camera and transmits data wirelessly. But this is small fry really when you read this week’s news. A large TV manufacturer which has a product that recognizes voice controls seems to have been transmitting everything said in front of the TV to a third party. They do this so that said third party can sieve through the words used to see if a command has been given. But there are many unanswered questions. Who is the third party? What are they doing with my data? Is it secure? The list goes on. 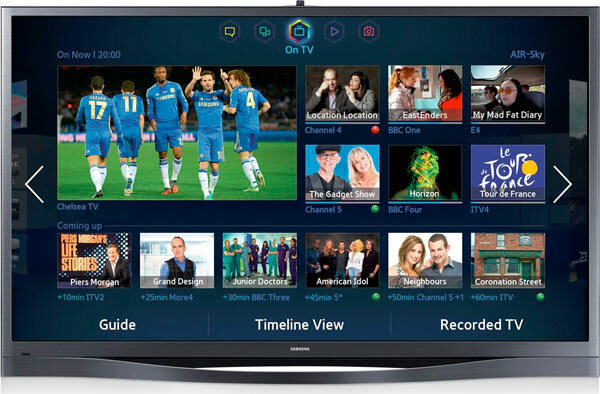 You can control your SmartTV, and use many of its features, with voice commands. If you enable Voice Recognition, you can interact with your Smart TV using your voice. To provide you the Voice Recognition feature, some voice commands may be transmitted (along with information about your device, including device identifiers) to a third-party service that converts speech to text or to the extent necessary to provide the Voice Recognition features to you. In addition, ******* may collect and your device may capture voice commands and associated texts so that we can provide you with Voice Recognition features and evaluate and improve the features. Please be aware that if your spoken words include personal or other sensitive information, that information will be among the data captured and transmitted to a third party through your use of Voice Recognition. The BBC carries an article about this news with all of the names included. I think it is probably true though that if one company do it, then so do all the others. I think the days of being able to watch TV in your underwear must be over. A friend of mine who is into internet security told me that smart TV’s are one of the least secure items around. He advised putting them on a separate router as they apparently could give a back door into your systems. We have a new show on TV here now, watching people watching TV. I have been checking all of the equipment hooked up to my TV to make sure that there is no camera recording me.